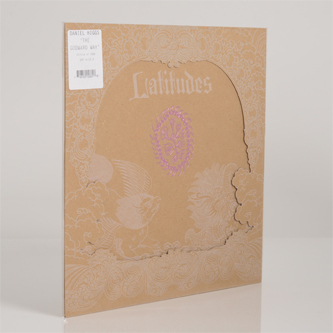 **Ritualistic, psychedelic Americana folk and drone by the former Lungfish frontman. 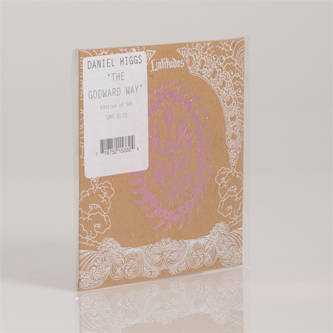 Hand-numbered edition of 500 CDs housed in foil-blocked and die-cut jacket** "Daniel Higgs has always been held in the highest esteem by us here at Southern, becoming an almost totemic figure in the process. Certainly an appreciation for his work, and the canon of the band Lungfish, has been a job requirement for all the staff who've worked with us over the years. He has graced us with visits from time to time, and his London shows have always been must attend events for Southern alumni. Naturally, a Latitudes recording would be the jewel in the crown for our catalogue, yet frustratingly, circumstance and opportunity always seemed to elude us. Ever patient, we tried not to get too giddy when the stars finally aligned, and a session was booked at the studio to coincide with a lightning tour to our shores. But given the timelessness of his vision, we needn't have worried about such trifling matters as scheduling. Like passages from some archaic ur-song, Higgs summoned the elements, and sound issued forth. We are incredibly grateful that he allowed us to capture it electrically and preserve it for your enjoyment and enlightenment. - Tony Sylvester, July 2012"